1. When you first met Travis Boyette, what race did you think he was? John Grisham doesn’t mention it when he introduces Boyette. What do you think this assumption means? 2. One of the writing devices John Grisham uses is “summary briefs” where he uses court record summaries for back story. What did you think of this writing technique? 3. In Chapter 4, Joey Gamble admits to Private Investigator Fred Pryor that he lied to the police in an anonymous tip off that Donté was the killer, but he won’t sign an affidavit saying so. Why won’t Joey sign an affidavit? 4. In Chapter 5, Travis Boyette confesses to killing Nicole Yarber to the Reverend. What was Reverend Schroeder’s reaction to the confession? What was yours? 5. Why do you think Travis Boyette was willing to confess to the Reverend, but not to the police? 6. Reeva Yarber, the mother of the victim, is a rather loud, confrontational woman. 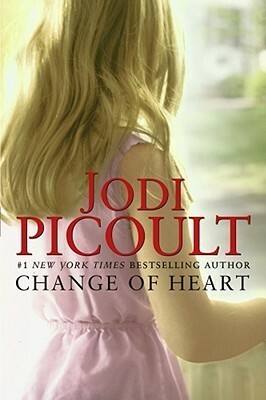 What did you think of her and how she handled her daughter’s death? Is there a right or wrong way to handle the violent death of a child? 7. Detective Kerber, Reeva and others continually refer to Donté as “boy”. What was your reaction to the use of the word “boy”? What cultural connotations does that word carry? 8. Several reverends in Slone want to meet with the mayor to warn him of possible race riots if Donté is executed. Why are they worried about race riots occurring? 9. In Chapter 7, Donté’s confession is revealed. Why do you think Donté confessed? 10. Do you think false confessions are real? Are they an occurrence of the past or do you think they still go on? 12. Since Donté has been put on death row, he’s gotten multiple marriage proposals from women who’ve never met him before. What’s that all about? 14. Travis Boyette disappeared and the Reverend finally found him in a hospital. Boyette tells the Reverend to leave his hospital room and not come back. Why won’t Travis film a confession from the hospital? 15. What was Donté’s prison experience like? 16. Do you think being kept in solitary confinement for 23 hours a day constitutes as cruel and unusual punishment? 17. Did Donté ever have hope of getting out of prison? If so, when did he lose that hope? What did that look like? 18. Travis Boyette calls Keith Schroeder in the middle of the night. Travis wants Keith to drive him to Texas. What is Keith’s reaction to this? What is his wife’s reaction? What would your reaction have been? 19. When Keith and Travis are driving to Texas, we finally get to hear some of Travis’ back story. Why do you think Grisham gave us the convict’s back story? Did it make you realize anything about the character? 20. Boyette says, “Prisons are hate factories, Pastor, and society wants more of them. It ain’t working.” (p. 208) What does Boyette mean? Does Keith agree? Do you agree? 21. What did Donté pick as his last meal? Why? 24. Donté was executed. Did it surprise you that Grisham followed through on this? Why do you think Grisham didn’t save his character? 25. Keith is warned he might lose his job for disgracing his current congregation with a possible criminal record. Does this end up mattering to him? Why or why not? 26. On page 471 it says, “…Lazarus, like most blacks in Slone, had never trusted the police.” Why do you think most of the African Americans in Slone didn’t trust the police? Is there a racial divide in who trusts the police and who doesn’t in real life? Why do you think Grisham would point this out? 27. Is Travis caught in the end? How? Were you surprised at his actions? 28. 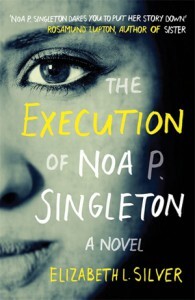 Did this book end the way you wanted it to? 29. 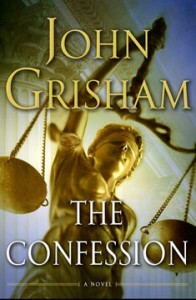 Did John Grisham have an agenda with this novel? What was it? 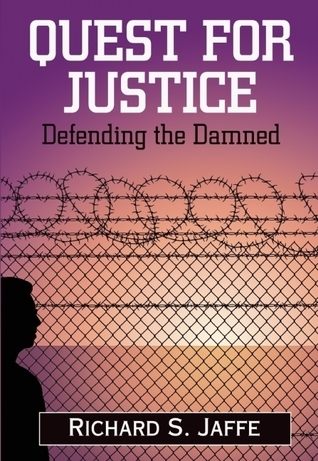 Did this book change the way you see the American justice system? 30. Do you believe in the death penalty?